According to Billboard magazine, the concert business grossed just under $4 billion dollars worldwide in 2008. This was the highest gross ever for the industry and up almost 13% over 2007. What's more, in North America the gross was up 18% and concert attendance 6.3%. Notice anything about this list? Only one artist, Rascal Flatts, is a relatively new artist from this century. Kenny Chesney and Spice Girls have been around since the early 90's. Maybe it's too much to expect, but it sure would be nice to see some newer artists on this list, but unfortunately there are few new artists that have broken through on that level (you can blame the entire industry for not developing artists to replace the legends). It's also interesting that there has been an increase in concert attendance. You could've predicted that revenue would've increased since ticket prices and surcharges have grown to unprecedented levels, but it seems that in dire economic times people still want a few hours of escapism and are willing to pay for it. 1) The country's bad economics finally catch up to the industry, and people just won't consider that $200 plus ticket as much of a necessity as they once did. 2) As a result, the industry lowers it's ticket prices back to more reasonable sub-$100 levels after a few months of half-sold houses. 3) Irving Azoff and Ticketmaster follow through on eliminating the ghastly surcharges that everyone hates so much, which helps lower ticket prices more and helps drive attendance. One thing's for sure, 2009 will look much different from 2008, at least in this part of the industry. While most Christmas songs personally don't float my boat, here are a few that I think are really great. Elvis at his peak. The so-called "Come-Back Special" just gets better with age. Lennon also at his peak. Everything about this is great except for Yoko (as always). I looked for a live version of this (I know there's one out there) but couldn't find it. This is a completely compelling piece. The songwriting is great (about meeting an old girlfriend in a supermarket on Christmas Eve), the playing is terrific (although I hate the chorused piano sound - definitely a sign of the time period when this was shot), and I love the way he features and appreciates the band at the end. What a class act! I had both goose bumps and tears when watching this - a rare combination brought about by a rare song and performance. Rubin's Time Up At Sony? 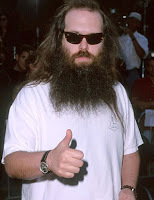 There's no question that Rick Rubin is a brilliant producer and has been for many years. From diverse acts such as Metallica, Johnny Cash, and the Beastie Boys (among many others), Rick has proved that he indeed is a hit and taste-maker. But a record label exec he has proved not to be. The current underground buzz is that Sony is about to quietly push him out of the label's co-chairmanship, proving that having a magic touch in the studio doesn't automatically translate to the boardroom. We live in interesting times for the music business, and it's in desperate need of visionary guidance. But it's too much to expect of anyone who's on the creative end of the business to lead it from the financial desert. The music industry has a reputation for constantly looking in the wrong place for leadership (save for the glory times of true music lovers like Ahmet Ertegan, Alpert & Moss, Mo Ostin and Berry Gordy), lately settling on attorneys and accountants as their chief execs instead of true music people. At least Rubin's pick was outside the box, but not far enough. The industry is now living and dying electronically. Maybe it's time to look to Silicon Valley for a new generations of leaders? According to a study by Will Page, chief economist for the MCPS-PRS (a royalty collection service), more than 10 million of the 13 million digital tracks available on the internet failed to find a single buyer. What's more, 80% of the revenue came from only 52,000 of those tracks. And it gets worse for albums. Of the 1.23 million available, only 173,000 were ever bought, meaning 85% did not sell a single copy all year. It's hard to believe that many artists have no friends or family. But seriously, one of the biggest problems of the music industry is too much product. In the past, there were numerous filters set up along the pipeline from music creation to consumer that ensured some level of quality (the first being the record label and the last being the radio station program director). Today, the old gatekeepers have far less influence, for better or for worse. Given the ease of recording and distributing music today, quality of the product is far more of an issue than the quantity. But what if you have a truly great product? How do you get a great product in the first place? How do you get your hand higher in a sea of upheld hands? We'll uncover some answers to these questions in future posts.